In Tennessee, Ameri Care Services, Inc. is the expert when it comes to crawl space and pest control issues. For years, we have been assisting homeowners with their problems, ranging from wet crawl spaces to termite infestations, and many other home related concerns. We take pride in the cleanliness and professionalism of our team. We have helped homeowners throughout Tennessee. free-estimate Ameri Care Services, Inc. for your free inspection and cost estimate. 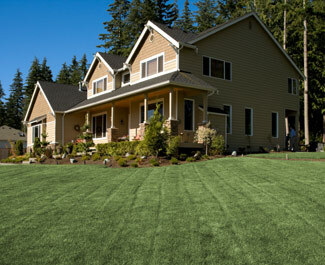 Are you tired of the damp, dirt crawl space beneath your home? A dirt or vented crawl space is both inefficient and unhealthy. Moisture, pests, rodents, and mold growth can enter your home through a crawl space that is not encapsulated. Ameri Care Services, Inc. uses the award-winning CleanSpace® Crawl Space Encapsulation System to solve crawl space moisture problems. This system isolates your home from coming in direct contact with the earth. We also have the SaniDry™ System, which eliminates damp, musty odors and controls the humidity level of your home, creating a safer environment. Let us make your home a safe and comfortable place. Our services include dehumidification, moisture control, and additional dry crawl space solutions. Let one of professionals come out and inspect your home for free. There is no obligation and we will provide you with the best crawl space repair recommendations. We are your local source to solve your home's pest infestation problems. We've worked on countless homes with termite problems, bed bugs, termites, rodents and other household pests and rid the homes with our expert pest control products, techniques and know-how. Ameri Care Services, Inc. has seen all kinds of pests and we are here to help get rid of your infestation. Just contact us for a cost estimate today! Ameri Care Services, Inc. strives for complete client satisfaction and top-quality results. We are available to help you with any of your pest control or crawl space problems. We service areas in Cookeville, Tullahoma, Unionville, Smithville, Sparta, Spencer, Bradyville, Shelbyville, Palmer, Sumittville and surrounding Tennessee areas. To learn more about our services or to schedule a free inspection and cost estimate for Free Estimate us today!